When you're a padawan on the run from the Empire, there's really one main question that will be on your mind. 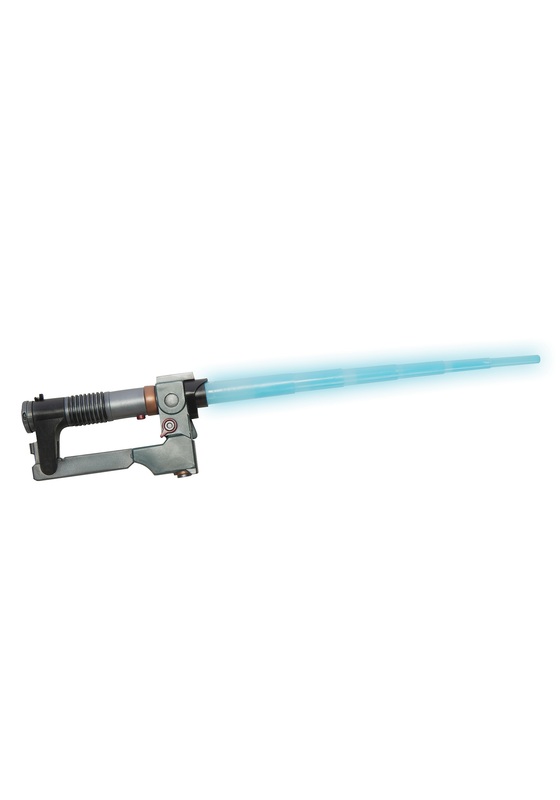 Blaster or lightsaber? Ezra decided to choose both! His lightsaber combines the long range wallop of a blaster pistol and the close range combat of a lightsaber. Obi-Wan mind find this thing a little uncivilized, but for Ezra, it gets the job done. This toy version comes straight from the Star Wars: Rebels series and although it might not ACTUALLY shoot blaster bolts, you can still make "pew pew" noises and pretend like it's taking down bad guys left and right.